Designed for high performance 390-406-410-427-428 c.i.d. Ford FE engines. The single-plane design provides race-winning power for many types of competition. 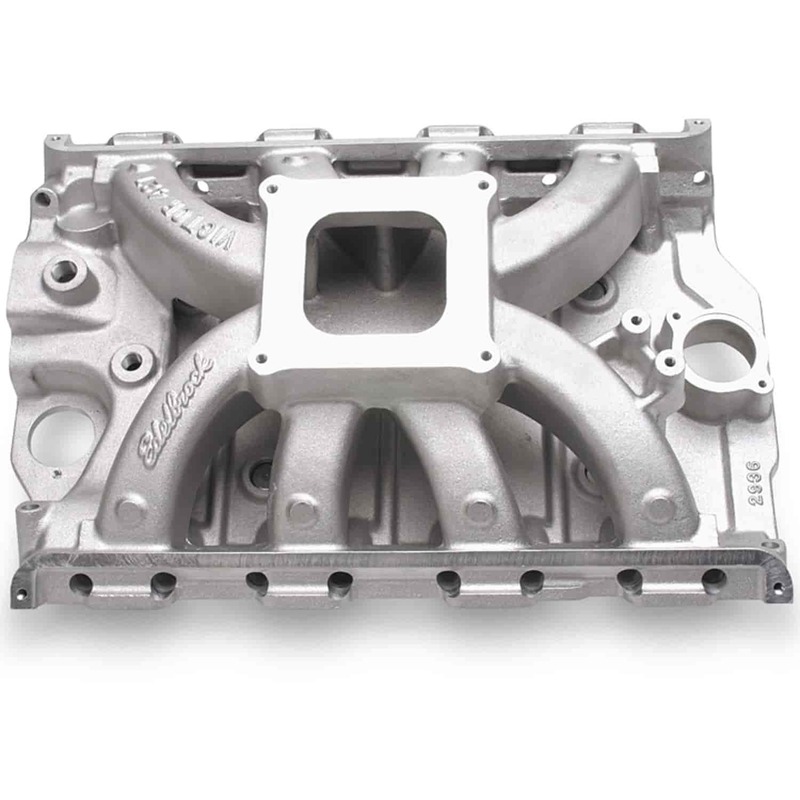 Carb flange height is equal to the Ford high-riser manifold #C4AE-9424-G to fit under 427 Cobra hoods. Runners have plenty of material for port matching to low- or medium-riser style heads. Machined rear breather boss is included with unmachined nitrous bosses and front oil fill tube boss. Match with Edelbrock Performer RPM FE heads 350-60069 or 350-60079. Carb pad height = 6.49'' View Manifold ''A/B'' Measurement Guide.